Looking for a fun game for your mobile device? Here’s one that’s going to be easy to pick up but hard to put down. I picked up this game as part of the Humble Bundle and it has been one of my go-to games during my downtimes. 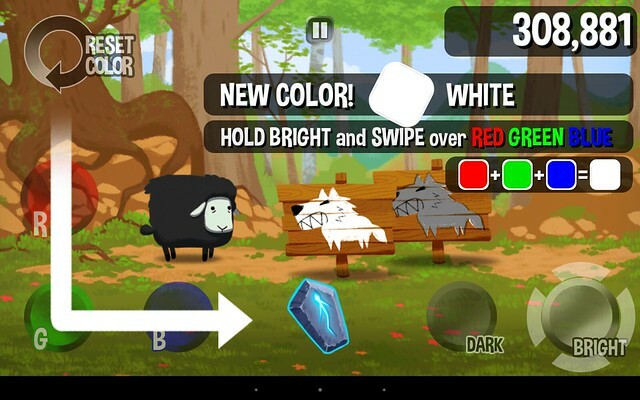 Color Sheep from Trinket Studios, Inc puts you in the role of Woolson the color-shifting sheep. Your task is to ward off the rainbow wolves who have come to feast on your bones. You fend them off by firing out magic beams that disintegrate them into nothingness. Now it’s not just simple beaming, you need to match the color of the wolf that’s coming to be able to kill it. Sound simple enough? The gameplay mechanics are that there are 3 primary color buttons (Red, Green and Blue), then 2 shades (Light and Dark). So if there is a bright red wolf coming, you press the Red and Light buttons and fire. Then If there’s a Dark blue wolf, then press the Blue and Dark buttons and fire. Easy peasy. 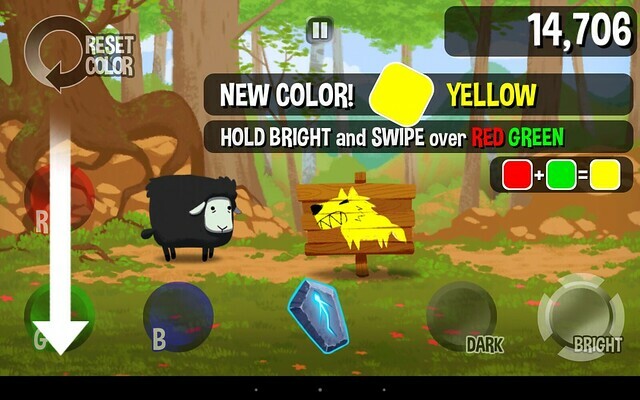 Now, if there’s a bright yellow wolf, then you press the bright then swipe from red to green then fire. 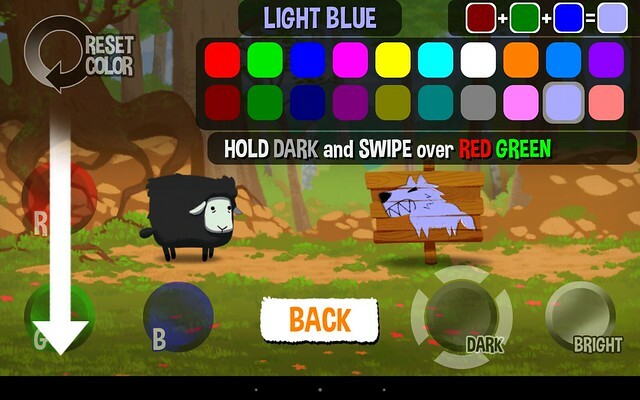 Next there’s a gray wolf, so you press dark then swipe from red to blue to green. Now what if there’s a carnation wolf? An aqua wolf? A black wolf? Fun stuff. The game gets more and more hectic as the levels progress. There’s quite a learning curve but once you memorize all the colors, it becomes all about speed. 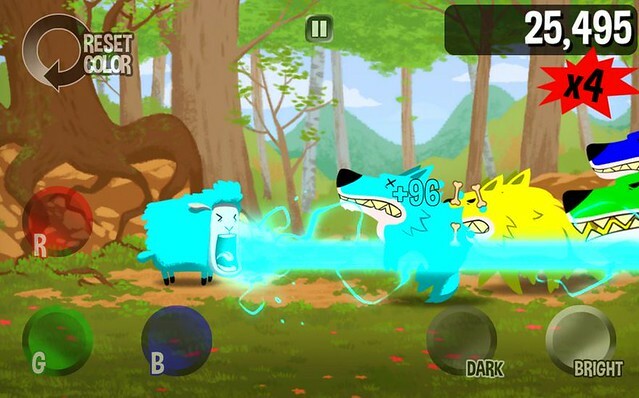 There are also several power-ups that you can pick up which will help you clear the board of wolves or slow down time. 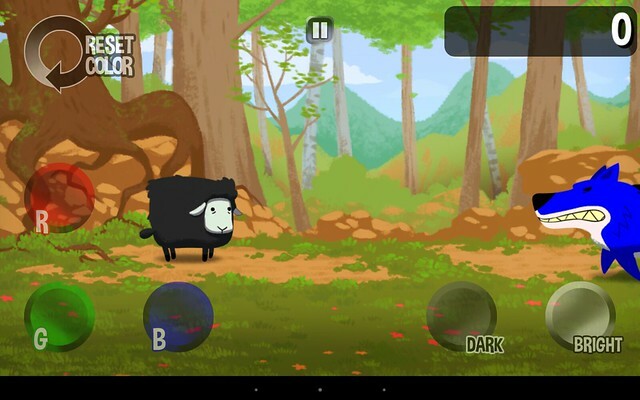 Color Sheep is a really fun game. You can play it offline and there are leaderboards on Facebook where you can challenge your friends’ scores. It’s available on Google Play store for about $1 (P44) or you can also get it along with some other games via the Humble Bundle.